Today we focusing on the maps in Dead Galaxy. Learn more about how they will look and how the gameplay will be. First of all thank you so much for the warm welcome you gave to Dead Galaxy, we will keep looking at your suggestions and feedback in the next weeks. You are a very important part of the process. But let's get into it! 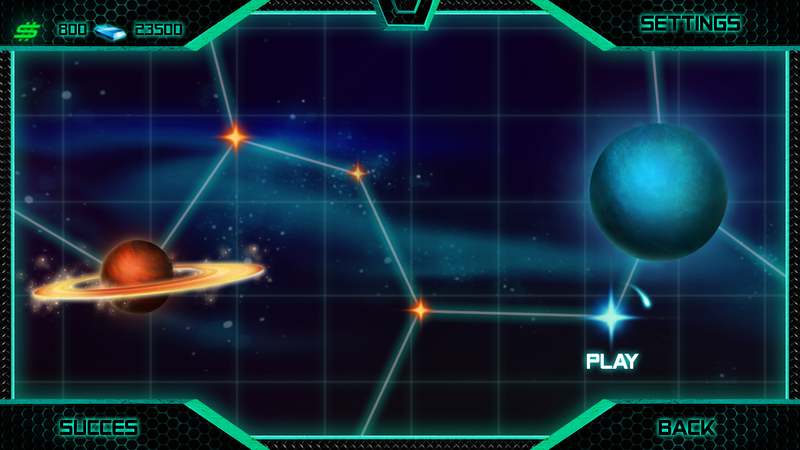 Today we choose to focus on the maps that you will explore in Dead Galaxy. You will travel between two type of environment: in closed interior and in open sky level. The story alternate between them during your exploration of the universe. You will play in exterior on planets and in interior on the travel process between them. On your way you will find unique planets but also ruined space station for instance. The game will track your progression in the universe, you will be able to get back to a level as many time as you like. Every planet will have 5 scripted missions approximately and as you progress on the way you will unlock new arena levels. Be sure to give us your feeling on these news, it's always a pleasure to read you! We will see you soon for another dev update!